Issac R. Clark Memorial Collection: Dr. Isaac R. Clark (1925-1990), A Professor and administrator, served as Professor of Homiletics, Director of Field Education, Registrar, and Director of the Summer Session at the Interdenominational Theological Center (ITC) from 1962 to 1990. He was a lifelong member of the African Methodist Episcopal Church. Clark’s collection reflects his academic career through course materials, administrative records, and recorded presentations, class lectures, and photographs. Also included are audio recordings of various chapel services, sermons, and special programs at the Interdenominational Theological Center including a history of the ITC by Dr. Harry V. Richardson available via Digital Commons. Robert Penn Collection: Robert Penn (1916-1976) was a member of the ITC faculty during the 1970s. A graduate of Clark College and the ITC, Penn was a Baptist pastor in Georgia, Kansas, and Indiana, and served as a chaplain during World War II. He was active in missionary efforts in Africa, and upon his retirement from preaching, he joined the ITC faculty as director of Field Education. The photographs in this collection document Rev. Penn’s family life and friend in West Virginia, Indiana, and Georgia, as well as his work as Pastor of the First Baptist Church in Gary, Indiana, and Director of Field Education at the Interdenominational Theological Seminary. This collection complements another collection of correspondence, sermons, audio recordings and photographic materials available to the public for research within the Robert E. and Lois H. Penn Collection at Emory University’s MARBL Library. Hercules Wilson Collection: Hercules Wilson (1883-1978), a Presbyterian minister from North Carolina, was a 1911 graduate of the theological seminary at Biddle University (now known as Johnson C. Smith University). Wilson was the first minister of the Brooklyn Presbyterian Church (a predecessor church to the current First United Presbyterian Church) in metropolitan Charlotte, North Carolina. 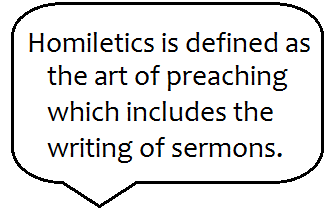 The Hercules Wilson Collection is primarily comprised of sermons. Materials by and about Hercules Wilson are also contained within the African-American Presbyterian Collection (1858-1988) at AUC Woodruff Library, currently accessible via microfilm. Listen to a few audio recordings from the Isaac R. Clark Collection. Find the entire recorded collection on Digital Commons. Dr. H.C. McEwen lectures on the anguish of preaching. In the lecture he gives reasons why preaching is aguish. One reason is the preacher himself is a sinner preaching to other sinners. He explains the more the preacher knows about God the more he knows himself to be chief among sinners. Dr. Isaac R. Clark lectures on the theological definition of preaching. Within the lecture he gives an explanation of the five elements of preaching (divine activity, proclaiming, word of God, here and now, ultimate response to God). Dr. Clark further explains the importance of relevant preaching, and the responsibility and danger of preaching the gospel of repentance. References to Dr. Martin Luther King Jr. and the Birmingham church bombings are made.